It has been more than 20 years since a major work on switchblades has been published, and never has one showcased as many different types as Rich Langston’s welcome new book. 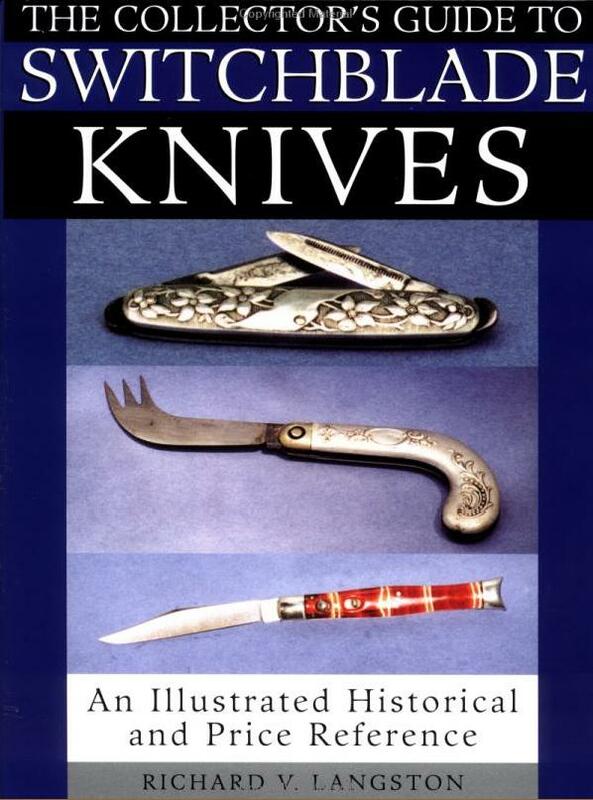 The Collector’s Guide to Switchblade Knives contains a history of the early cutlery industry in America; a detailed examination of the evolution of switchblades; and a user-friendly, up-to-the-minute, illustrated reference section that helps collectors and novices alike identify all kinds of knives, from museum-quality antiques toGranddad’s old folder that’s been hidden in the attic for decades. Langston, a life-long knife lover and collector, provides an honest appraisal of more than 160 autos based on maker, condition, markings, materials, functioning and availability. This handsome hardcover is for collectors, enthusiasts, historians or anyone even considering buying or selling a switchblade. 8 1/2 x 11, hardcover, photos, 224 pp.